Save this date and attend TopQuants 2011 – a symposium in an interactive format. TopQuants is a new networking organisation – by quants for quants. TopQuants aims to bring the quantitative community of the capital markets in the Netherlands closer together. Jan Sijbrand is the key note speaker at this event. Jan is Chief Risk Officer at NIBC. Before joining NIBC, Jan has worked for Rabobank and ABN Amro in various senior roles within risk management and financial markets. On May 20th the Dutch Cabinet has decided to propose Jan for appointment to the Crown as executive director of the Governing Board of De Nederlandsche Bank (DNB) as per July 1st 2011. Jan is to head the Banking Supervision division at DNB. TopQuants 2011 also features a panel discussion. We are looking forward to a lively and exciting exchange of ideas between the key note speaker, quantitative financial professionals in the panel and the audience. More information on the panel members will be disclosed in the final invitation. TopQuants 2011 concludes with drinks and a buffet for all participants. This provides ample opportunity for informal discussions and networking. 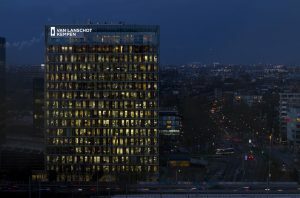 The event is hosted by Ernst & Young at their Amsterdam office. Participation is free of charge, but advance registration is required and places may be limited. A more detailed programme will follow soon. In the meantime, please reserve the date in your calendars. by forwarding this this message to them. Please put TopQuants on copy so that an invitation to them can be send later.